“Led Zeppelin,” Jones answered cooly in his clipped British accent. The line went dead. Victim of an eight-second delay button, the exchange was never given air time. 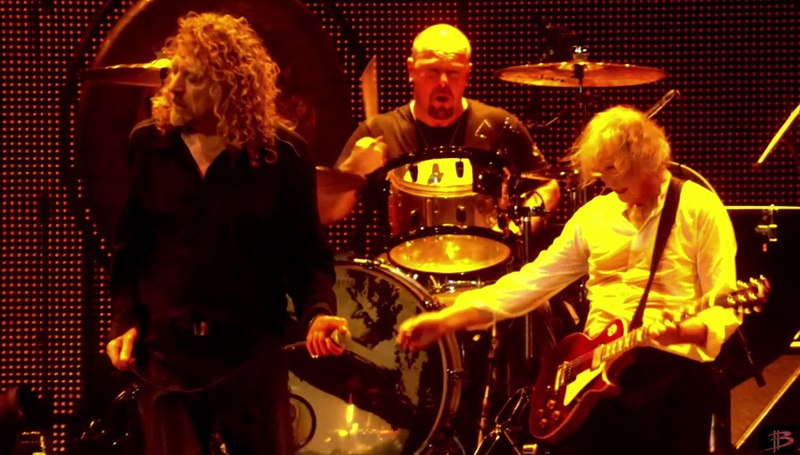 It has been a long time since Zeppelin last rock & rolled. After 18 months spent laboring over their new double album, Physical Graffiti, the band has some warming up to do. “It’s unfortunate there’s got to be anybody there,” Plant said. “But we’ve got to feel our way. There’s a lot of energy here this tour. Much more than the last one.” The tour’s official opening night, January 18th at the Minneapolis Sports Center, went surprisingly well considering the circumstances. Only a week before, Jimmy Page broke the tip of his left ring finger when it was caught in a slamming train door. With only one rehearsal to perfect what Page calls his “three-and-a-half-finger technique,” the classic Zeppelin live pieces, “Dazed and Confused” and “Since I’ve Been Loving You,” were indefinitely retired. Codeine tablets and Jack Daniel’s deadened the pain enough for Page to struggle through the band’s demanding three-hour set.